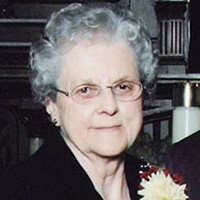 Peterson, Joanne M. of Cokato. Survived by daughters LaDonna (Scotty) Wylie, Cynthia (Daryl) Pischner, Alan Peterson, Larry (Kris) Peterson, grandchildren and great-grandchildren. Visitation Wed., Feb. 13 from 4:00-7:00 p.m., Swanson-Peterson Funeral Home, Cokato. Funeral services Thurs., Feb. 14 at 2:00 p.m., Cokato Evangelical Lutheran Church.